There cannot be two orders of two different Judges of a Division Bench in the same set of matters on two different dates…Legally impermissible course was adopted by the Hon’ble Companion Judge to revive jurisdiction over matters which was already lost, the Full Bench observed. 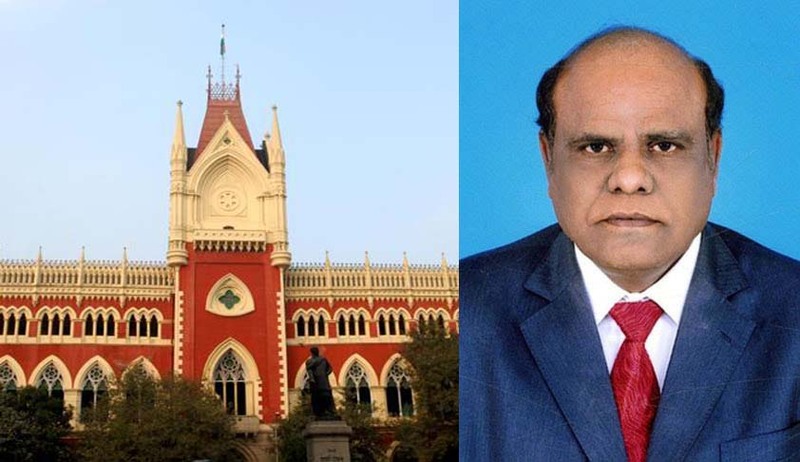 The subsequent order (7th June) by Justice Karnan allowing bail applications which were rejected eighteen days ago (May 20), by the Division Bench of which he was part of, is grossly irregular, the Full Bench of Calcutta High Court has held. The Bench comprising of Justices Aniruddha Bose, Joymalya Bagchi and Ranjit Kumar Bag observed that deviation from the order or judgement dictated in open Court ought to be undertaken in extra-ordinary situation and should be adequately reasoned and no such reasoning is found in Justice Karnan’s order on 7th June as to why he was expressing a view different from that reflected in the order of Division Bench on 20th May 2016. On 7th June 2016, two Judges of a Division Bench of Calcutta High Court argued with each other in open Court, over granting bail to some persons accused in the Vivekananda Road flyover collapse. The Bench comprising Justice Karnan and Justice Ashim Kumar Roy had earlier on May 20, refused bail to the ten accused persons. Justice Karnan however had a change of mind after 18 days of refusal of bail by the Bench. Justice Roy objected to this while in open Court, and said that such orders were always passed in open Court. Justice Karnan however reasoned that he had a change of heart after going through the papers afresh in his chambers and hence signed in favour of granting bail to accused. Following the argument, the two Judges retired to their respective chambers.Read LiveLaw report for more. Later the Chief Justice had constituted a Full Bench to answer a reference to it. Whether the Bench had become functus officio after rejecting the bail on 20th May 2016 and at least after signing of the order by both the Judges on 6.6.2016. The Court held: The Bench had become functus officio after the prayers for bail of the two petitioners were rejected on 20th May 2016, and signing of the order was effected by both the Hon’ble Judges on 6th June 2016. The Hon’ble Presiding Judge in this case had signed the order, however, on 20th May 2016. The order had assumed its final form after the same had been signed by the Hon’ble Judges. Whether it was within the jurisdiction of one of the Judges of the Bench to pen through his signature on the Original of the Order dated 20.05.2016 after affixing signature thereto on 6.6.2016. The Court held: After the order of 20th May 2016 was signed by both the Hon’ble Judges, none of the members of the same Bench retained any jurisdiction to alter the order. In such circumstances, the act of penning through His Lordship’s own signature by one of the Judges of the Bench was beyond jurisdiction, and hence non est in law. In fact, the Hon’ble Companion Judge had become functus officio on 7th June 2016. Hence, the mode and manner in which the dissenting order was sought to be brought on record is wholly impermissible in law. Whether the Order dated 7.6.2016 is a valid dissenting order necessitating reference to a Third Judge in terms of Clause 36 of the Letters Patent. The Court held: The order dated 7th June 2016 is not a valid order. This order has been issued at a time the Bench had become functus officio. The order of 7th June 2016 is also flawed because it has been issued on a date these matters were not listed, and the parties were also not notified of this order. Such order is nonest and void, and no legal recognition can be accorded to such order. The dissent expressed in the said order of 7th June 2016 does not have any validity in the eye of law, and in our opinion no reference to a third Judge in terms of Clause 36 of the Letters Patent is required to be made on the basis of this order. These two petitions stood rejected on 20th May 2016.